On one of our snow days last week the girls made crystal snowflakes. I really can't believe we are still crafting snowflakes because we are all getting a bit tired of the snow. Well, the adults are. The girls are lovin' it as I'm sure all kids are. Even though we are sick of the snow, these snow flakes sure are pretty. Especially when the sun light streams in the windows and reflects off the crystals. Begin by cutting your pipe cleaners into small sections, about 4 inches long. I used about 20-25 4 inch sections. Then take a regular sized pipe cleaner and bind the smaller pipe cleaners together in the center. 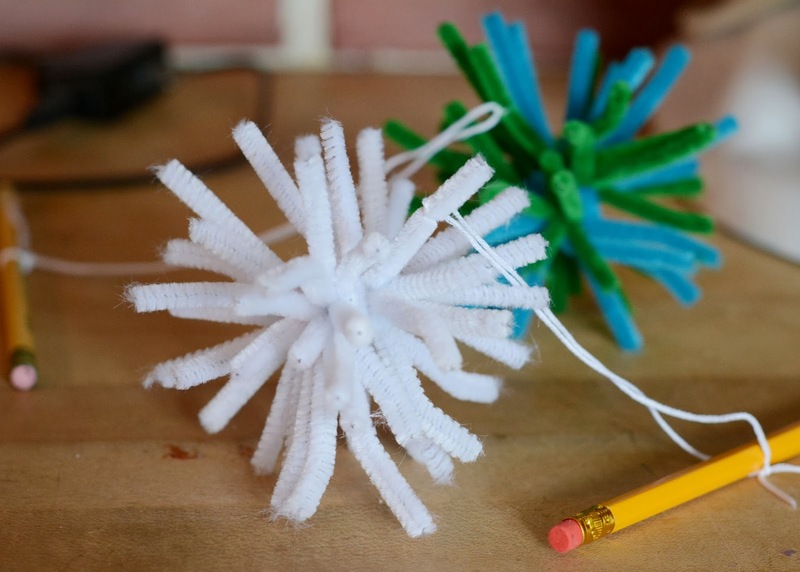 Attach a string to the pipe cleaners and tie the other end around a pencil. This will hold the snow flake in the water mixture and keep it from falling in the water. It will also make it easier to remove it from the water. 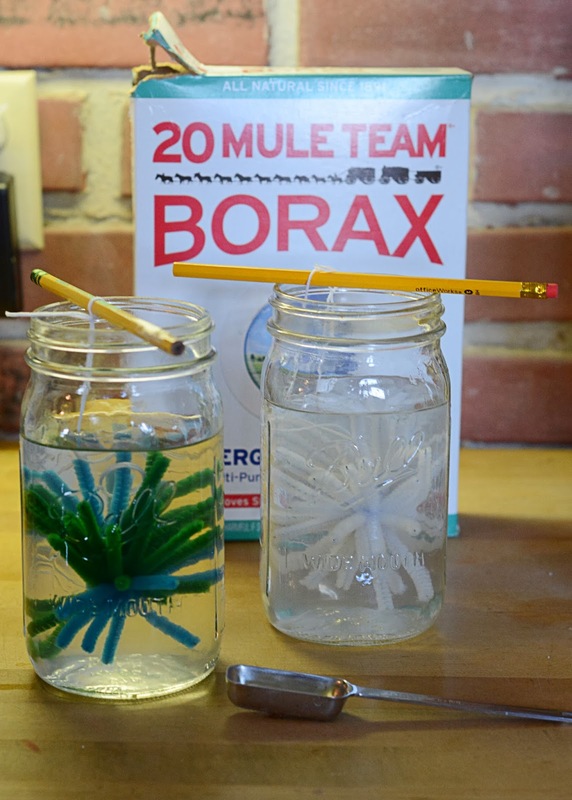 Carefully pour the boiling water in the jar(I recommend an adult do this) and stir until most of the Borax is dissolved. 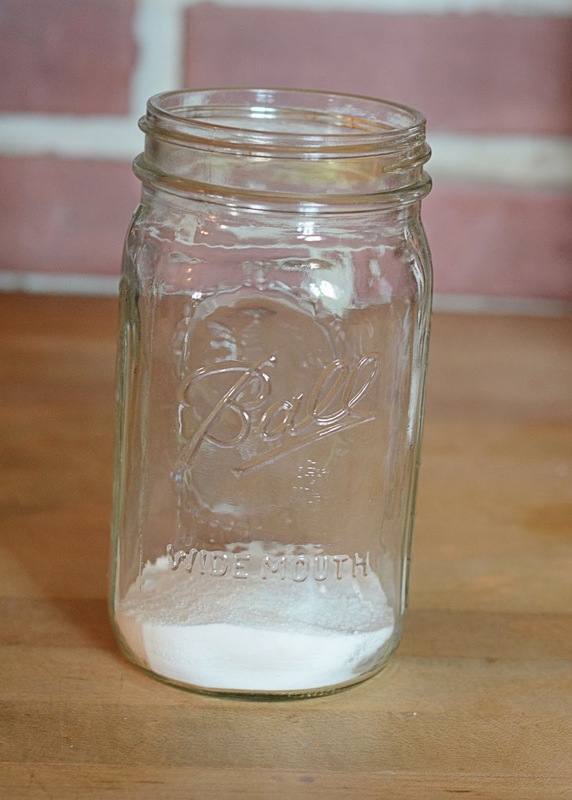 Place the snowflake in the water and let the pencil rest on top of the jar. Let it set for about 8 hours. 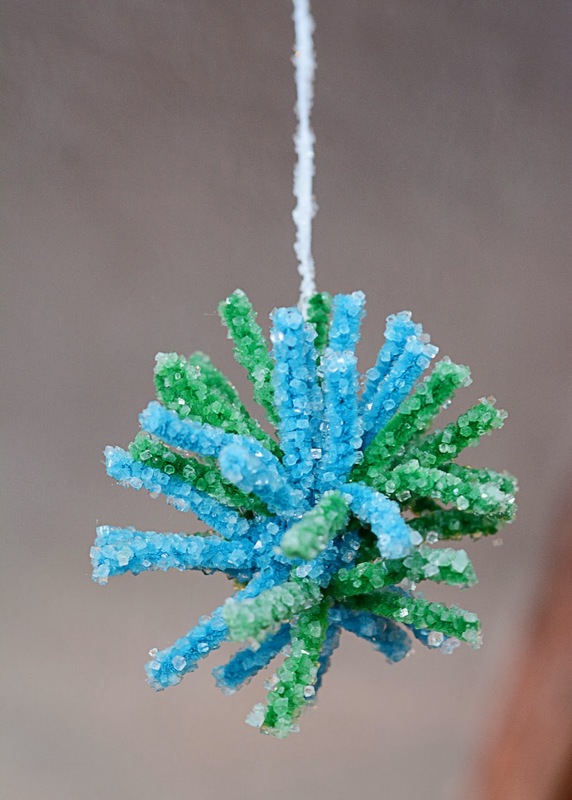 Once the water begins to cool, the crystals will begin forming on the pipe cleaners. You can do this over night since it takes a while, but we took full advantage of our snow day and started this process in the morning and I'm glad we did because the girls thought it was cool to watch the crystals develop. 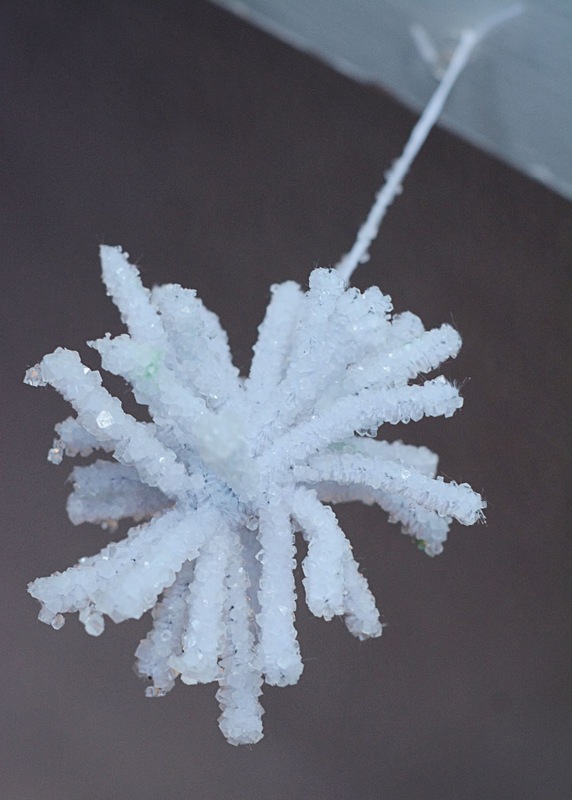 After 8 or more hours your entire snow flake will be covered in crystals. Allow it to dry and hang. 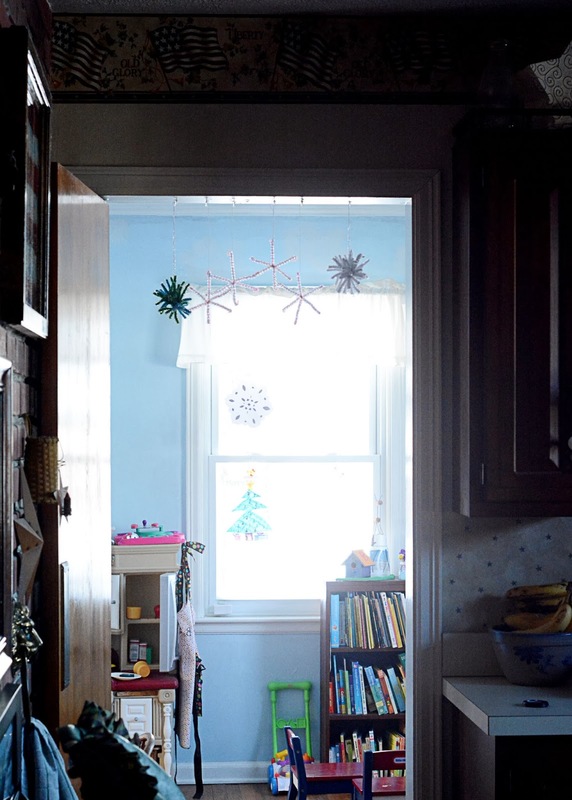 I love how they look in the door way next to our other pipe cleaner snowflakes that we made a few weeks ago.